SGS Wires EPCO for Top Line Growth. A supplier of specialty products to electrical contractors and distributors/wholesalers experiences flat sales as its smaller product line competes for rep agencies’ share of mind. 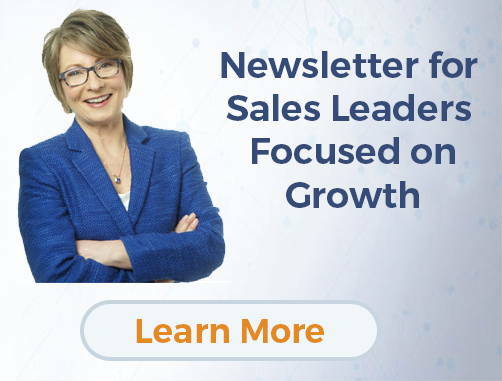 Sales Growth Specialists challenges the management team’s excuse-making mind-set, and facilitates their transformation to accountability-based sales management. Improved communication processes have strengthened management team effectiveness. More frequent, structured communication between management and independent reps clarifies expectations, holds reps more accountable, and enhances rep share of mind. Equating size of EPCO’s product line with commissions, Schuster shares his initial skepticism about the concept that EPCO could hold their reps accountable when the company provided an average of only $1,200 in commissions per month to its 35 rep firms. “How could we track deals when our reps don’t report to us? And if we couldn’t hold reps accountable, how could I hold my sales managers accountable?” he says. Bye boiled the answer down to a fairly simple concept – follow- through – planning, executing and checking up to ensure results. She introduced EPCO’s leadership to key management tools for building a culture where people take personal responsibility for results. The annual business plan anchors the process. Schuster and the appropriate regional sales manager have a teleconference with each rep agency in which each sales rep offers a forecast of sales for the year. The EPCO sales managers massage the reps’ forecasts with other factors to come up with numbers they agree to be held accountable for. The quarterly plan is the instrument that holds regional sales managers accountable to him and the reps accountable to the regional managers. Internal communications have improved dramatically since the introduction of monthly accountability meetings. Employees now have clear expectations that are in synch with management. Everyone knows where they stand and how to prioritize. SGS also helped EPCO sales managers with coaching by training them on how to identify rep behavioral styles and coach for the various styles. In addition, EPCO is using an SGS- recommended scorecard that identifies the characteristics of good rep candidate and evaluates potential candidates. Accountability has also helped maximize results of the company’s marketing efforts. “Our first promotion generated an 87% increase in unit sales. And although our second promotion wasn’t so stellar, it did influence sales. We believe that our accountability-based relationships and our marketing efforts are working together to capture greater share of our reps’ mind,” Jack says.